3% of your purchase will be donated to Common Threads, a charity dedicated to educate kids about food. 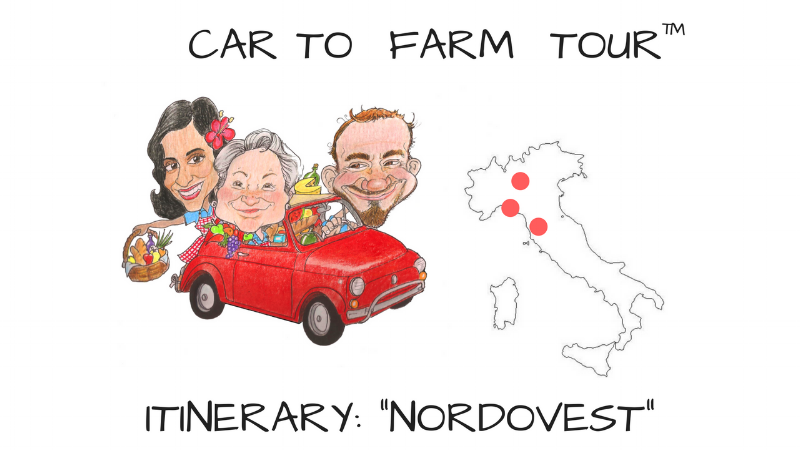 Originally started as a culinary road-trip vacation in 2015, Car to Farm Tour™ is now a curated farm-to-table tour that explores the homemade side of cooking in the Italian countryside with a focus on body and mind wellness. Yoga, meditation, and trail running will be offered along with cooking lessons led by the local farm and small business owners, and inspired by a more plant-based and seasonal diet. The first itinerary, called NORDOVEST is named after the Italian translation of North West, and will explore 3 locations in the regions of Lombardia, Liguria, and Tuscany. Each location offers the most authentic local food. No menu will be necessary. We take care of your allergies and intolerances, if any. As this is a farm to table focused tour, you won't only see just farm and food. In fact, you will take part in much more, like cooking demonstrations and hands-on classes! We believe in body-mind health and we will inspire you to take our daily yoga and meditation classes offered every morning by a local practitioner right before we start our explorations. You can also join Mauro in the afternoon for a run in the local area. You will get to learn about therapeutic-grade essential oils to support common conditions, and you'll be able to try Colorpuncture, a technology similar to acupuncture but with colors and light, and without needles. Car to Farm Tour™ will connect you to local people that really care about their guests not only as clients, but with the idea that everyone will leave like family! For example, the parents of a farm owner, who will cook for you and all our guests. The people that will host us are not your average travel industry professionals. They are communities that are passionate of their land and their culture, and love this opportunity to share it all with you. Each location comes with activities tied to the local territories, such as wine and olive oil visits and daily farm activities. We also keep an eye on local festivals and "sagra popolare" where we can join the locals in celebrating the harvest or other popular tradition. Educational Farm on top of the Hills in Lombardy - Two families have been working together for at least a couple of generations to create this beautiful and peaceful retreat on top of the hills between Lombardy and Piedmont. Sample of the Day Activities: yoga, breakfast, farm visit, cooking demonstration & lunch, sunset running or meditation (optional) paragliding (optional), astronomical observatory. Visit to local olive grove and wine vineyards. Terrace Farm above sea cliffs in Liguria - You can only get to this little gem by hiking up from sea level or down from the mountain top---(we fortunately, will be arriving via the latter) Imagine starting your day with yoga in the morning and seeing the sunrise while facing the water and then ending the day by celebrating over sunset with a local live band! Sample of the Day Activities: yoga, breakfast, terrace gardens & mill visit, cooking demonstration, lunch, live music by local band, dinner, star gazing. Visit to local abbey and fishing town. Tuscan Medieval Town - Giuseppina's school is in a perfect location for tourists who want to experience cooking in an incredible perfectly restored medieval town, all while eating great local homemade food. YOUR HOST WILL TAKE YOU PLACES AND HELP YOU MAKE NEW FRIENDS! Hi! I'm your host, Mauro.. I was born in Milan, Italy, but I've been for the past 20 years in NYC where I lived the American dream and met most of my lifetime friends. After I quit smoking cigarettes many years ago, I started living a new type of lifestyle where fitness and healthier food became my focus. Suddenly life at the desk became stale and unfit for my new life. I certified as a Health Coach and started seeing clients on the side. Finally, realizing that the food landscape was changing for myself and all around me, I quit my desk job in 2015 and returned back to Italy to road-trip the countryside with my mom to explore the healthier, homemade side of cooking. The itinerary is designed based on word of mouth and authentic countryside locations. We rediscovered the joy of meeting people on the road and taking them places, sharing food, and sharing a lifestyle that they too can take upon themselves for a happier existence! I CAN'T WAIT TO SHARE MY ADVENTURES WITH YOU! 3% of your purchase will be donated to Common Thread, a charity dedicated to educate kids about food. Car To Farm Tour™ is committed to transparency. You can read our simple Terms & Conditions. Please contact us with any questions at all that has not been answered in the FAQ below. You can reach out using the chat system at the bottom of the page or via email. + I trust experienced tour operators. Do you work with one? 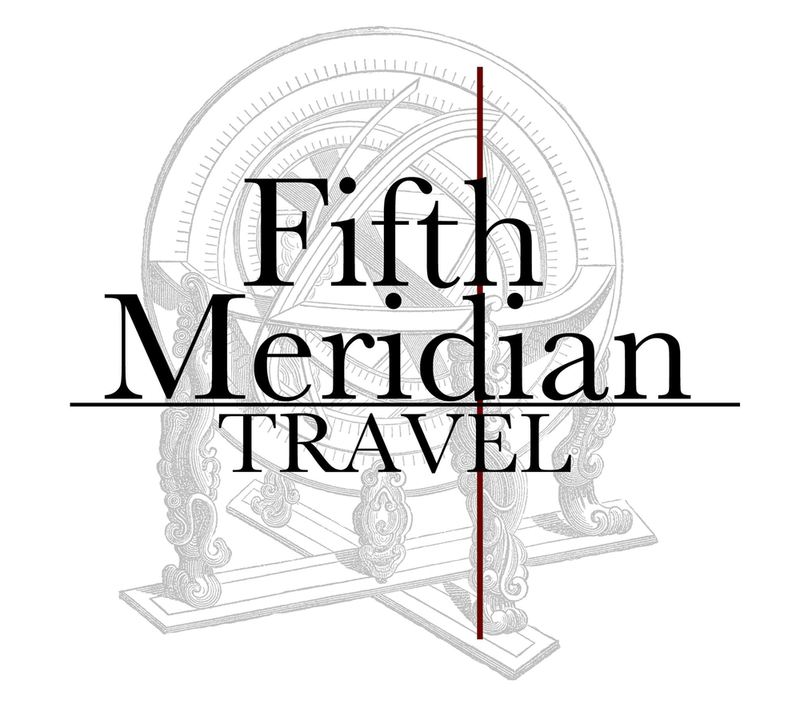 Yes, we partnered with Fifth Meridian Travel, an experienced tour operator that and has over a decade of experience organizing trip for individuals and groups all over the world. + Should I get additional Travel Insurance? + Do I have to attend every wellness activity? Not at all! We spread activities throughout the day to make it easy for you to join when it's most convenient for you. We will routinely have yoga in the morning, running in the afternoon, and meditation in the evening. + Is the tour Family friendly? + Is the tour kid safe? Yes. However, we advise to bring along kids of age 16 and older so that they can fully enjoy the experience. We do require an accompanying adult that will be the solely responsible for the minor during the whole Car to Farm Tour™ experience. + What regions are we going to travel through and staying? This tour focused on the West Coast Farms and the accomodations are going to be in the Lombardy, Liguria, and Tuscany regions. + What are the average temperatures going to be during the tour? Because our tour will travel across different climates, you might experience a different range of temperatures and humidity levels. Consider this table below for the Spring season: Northern Italy: 50-70F (10-21C) Also consider that the temperature will vary depending whether in the mountains, or near the water. Bring a light jacket, spf and bug spray! + Is there a lot of walking? All transportation between each location is provided via a private bus. However, during our stay we will move by foot to see olive groves and vineyards. One of the locations is about a 40 minute walk through a trail path in the woods. In general, we recommend bringing comfortable walking shoes. + I have food allergies. Can you help? Yes, we can accomodate general allergies and work with hosts to minimize exposure. However, farm kitchens are not contaminant-free environments and we will have to judge each situation individually. Contact us via email or using the free chat at the bottom of the screen to talk to us prior to booking. + I have dietary restrictions. Can you help? Yes, let's talk about it. We can arrange for your specific need. Contact us via email or using the free chat at the bottom of the screen to talk to us prior to booking. + Will there be animals at the farms where we will be staying? Yes! One of the most exciting ideas around Car to Farm Tour™ is to get our guests familiar with farm animals and their life at the farm. Most of them will be pet-friendly, and some other you will be available to feed with your own hands, and guided by expert farmers. + What should I bring with me? The complete checklist will be sent to you in the welcome email after you book the trip! If you have any specific questions about specific items you may need/want to bring, contact us via email or using the free chat at the bottom of the screen to talk to us prior to booking. + Do I need to be super fit for this trip? No. However, we do recommend to be prepared to take short hikes, short walks on trails, and disconnected terrain in general. + I have a medical condition, can I still join the trip? Contact us via email or using the free chat at the bottom of the screen to talk to us prior to booking. + What additional activities may I need to pay for? + Can I come as a single? Yes, of course! Because of the nature of this tour, the locations used do not always have single occupancy available. Therefore, you might end up sharing the room with other guests. More information will be provided upon booking. If you have privacy concerns, you can contact us via email or using the free chat at the bottom of the screen to talk to us prior to booking. + Is there a single occupancy option? For the NordOvest itineray only one location might have a single occupancy accomodation . Fair warning, this is not a luxurious hotel stay. Farms are small and rooms will be limited. In some instances, we will have to use the space we have and guests will need to share what is available. + We are a group of 10 or less. Can you organize trip only for us? Yes, we can provide additional dates in June 2018 or September for special occasions. Contact us via email or using the free chat at the bottom of the screen to talk to us prior to booking. + We are a company and want to organize a sponsored trip for our employees/executives. Can you organize a trip only for us? Yes! Reach out and tell us what you'd like to organize using our locations and logistics. Contact us via email or using the free chat at the bottom of the screen to talk to us prior to booking. + What do you mean by flight concierge? Car to Farm® has partnered up with Tour Operator Fifth Meridian Travel to provide free concierge for your pre, during, and post trip needs. You can contact the concierge right now, and once you book your Car to Farm® Tour, you will have access to a concierge service that will help you with the tour itself, but also with additional requests such as extending your stay, and booking your flight. + Before and after I book the trip, can I talk to someone for additional clarifications? Yes, you can call our virtual concierge and ask any questions you might have and address any needs you and your guests have. You can also contact us via email or using the free chat at the bottom of the screen to talk to us prior to booking. + I would like to stay in Italy longer, can you help me plan? Yes, that's another great service provided by our virtual concierge powered by our partner Fifth Meridian Travel. Contact us via email or using the free chat at the bottom of the screen to get in touch with the concierge. + Where can I read your Terms and Conditions? You can find the Terms and Conditions at the bottom of this FAQ list or here. + Can I give a trip as a gift? Absolutely! Keep in mind that our cancellation policy still applies to trips purchased as gifts. You can set up the purchase as a Gift during the checkout process. Read all Car to Farm Tour™ Terms & Conditions here.